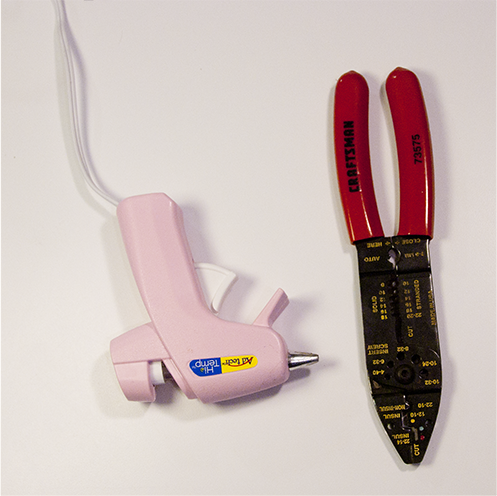 OPTIONAL TOOLS: A hot glue gun and wire stripper. 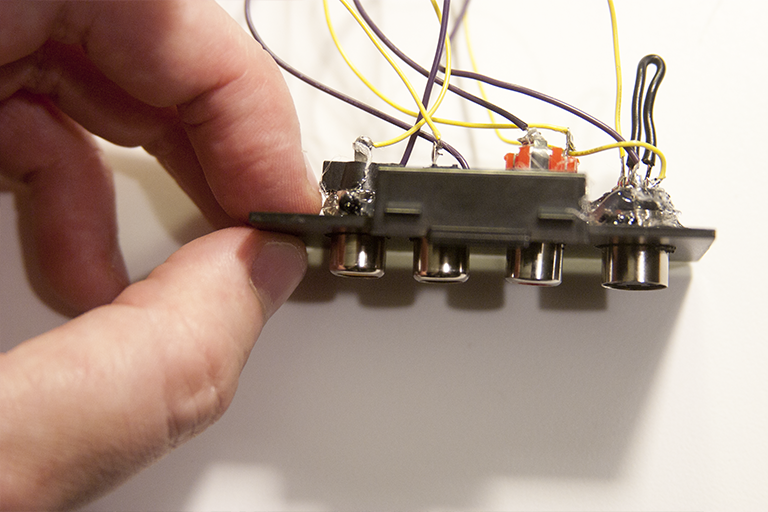 I use hot glue sometimes to strengthen my soldering work and protect from any potential shorts. 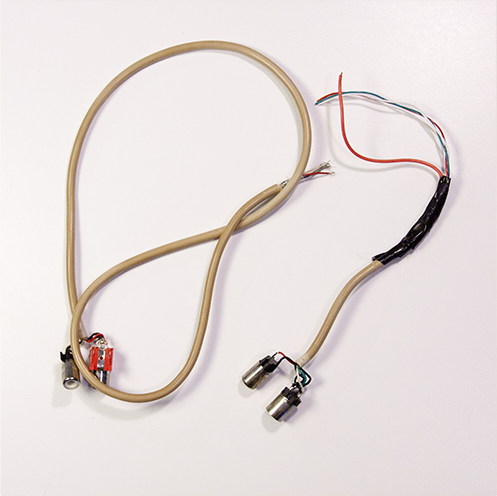 Make very sure you've soldered your wires correctly before you go spraying glue on it. 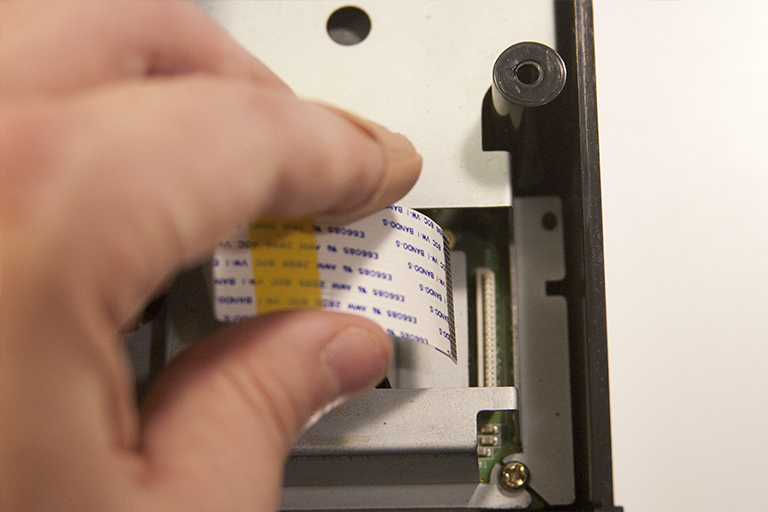 Additionally I often use it to secure the input ports I'm installing, especially if I drill the hole too large for them to fit snugly. A wire stripper is technically optional--for a long time I used razor blades, scissors or even nail clippers to strip and cut wires. Once I got the proper tool I felt like an idiot for wasting my time with improvising...just get a wire stripper if you plan on working with wire ever again. 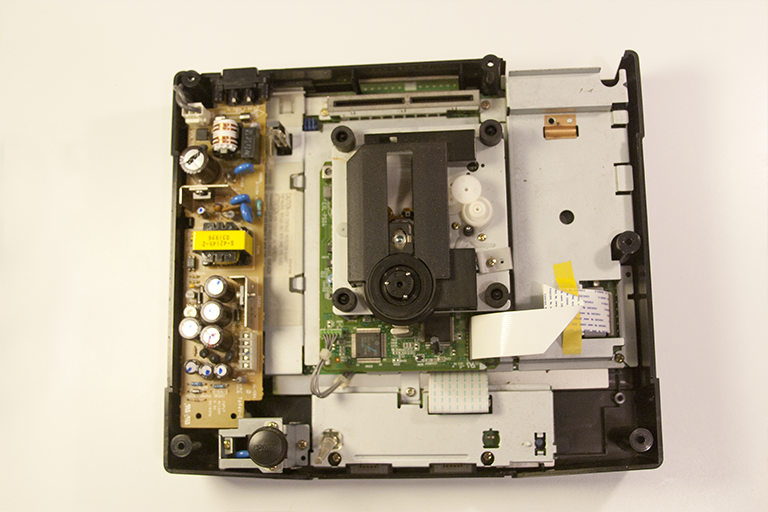 Some audio ports and an S-Video port (female). You can get em new online or at Radioshack or scavenge them from old cords/electronics. I got these from a broken PC. 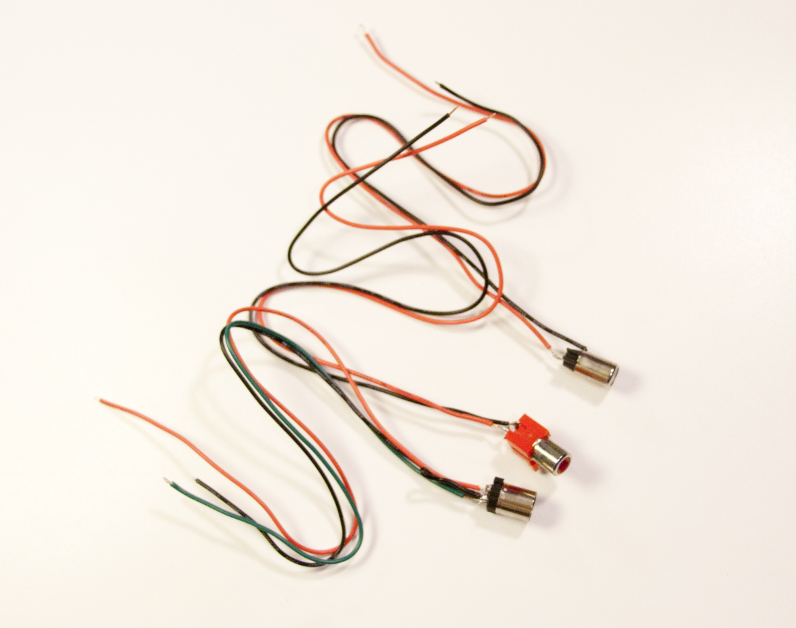 Here are the inputs with the original wires removed and new lengths of wire soldered onto the appropriate points. As I mentioned before, I used 22 gauge wire in this photo but found it to be thicker than I needed (and hard to fit in there properly), so I later went back and replaced it with some thinner wire I had in my box of scavenged parts. I'm no wire expert but I would guess it to be 24 gauge. 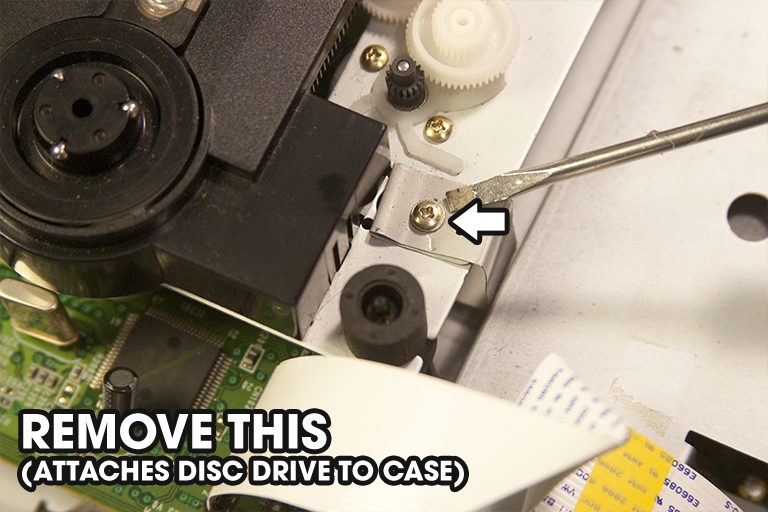 To begin with, let's remove the top of the casing! There are five screws on the bottom. No photo since they should be easy enough to find. 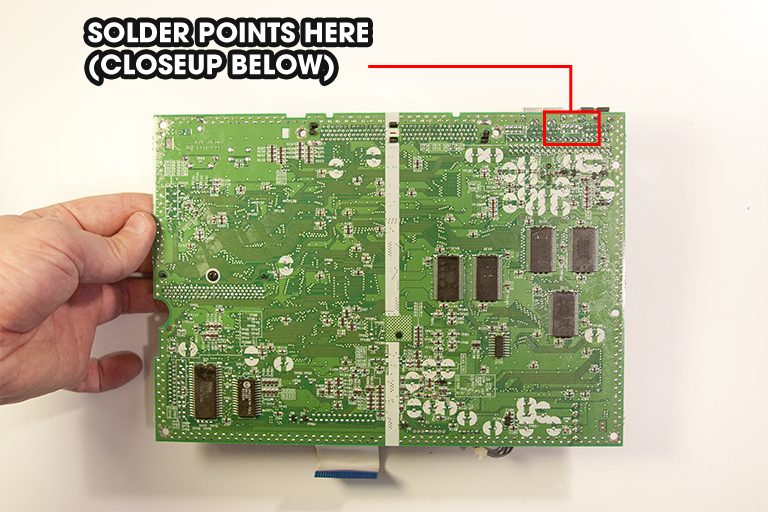 This is what you should see immediately upon removing the top of the console; now you have a lot of screws to remove and wires to unhook before you can reach your solder points on the bottom side of the motherboard. 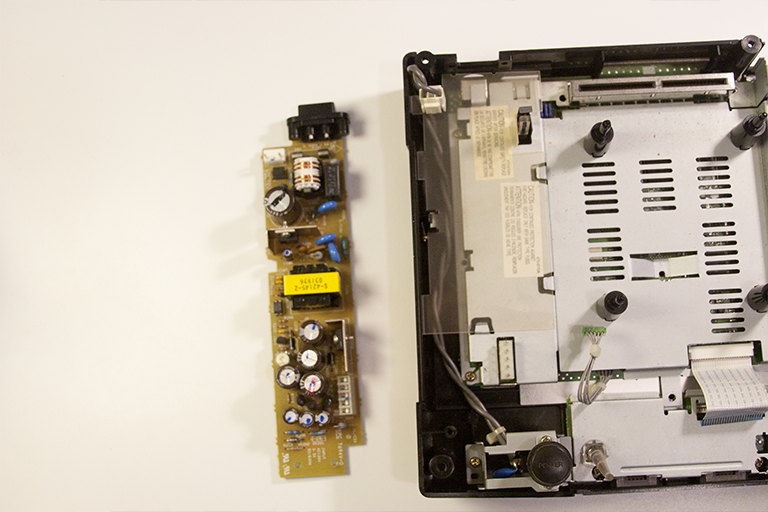 These interface the motherboard to the disc drive and the controller ports/power LED. Remove them carefully. 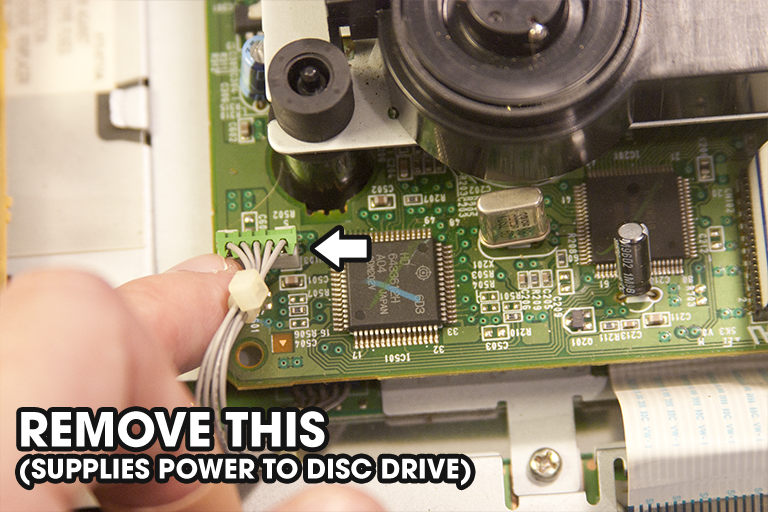 After unhooking the ribbon cable from the motherboard and the power plug/tether screw from the disc drive, you can now lift it straight out and throw it in the garbage. Actually hold onto it for later just to be safe. 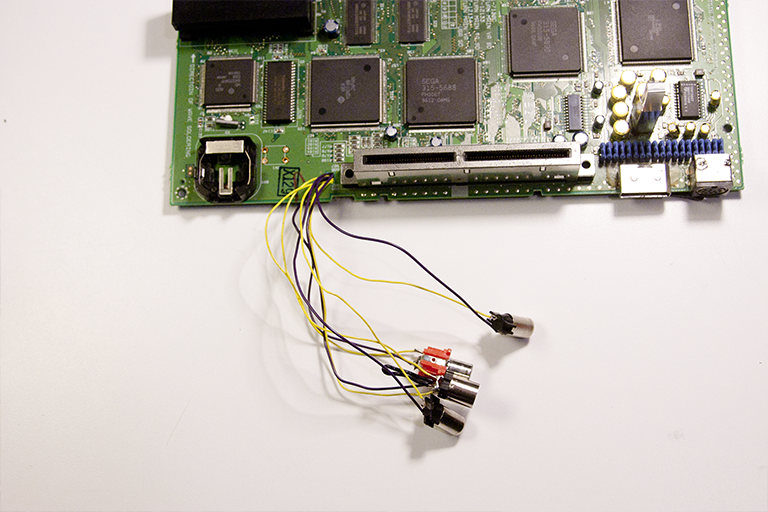 There are many gold screws holding the metal shielding onto the motherboard--seek and destroy. 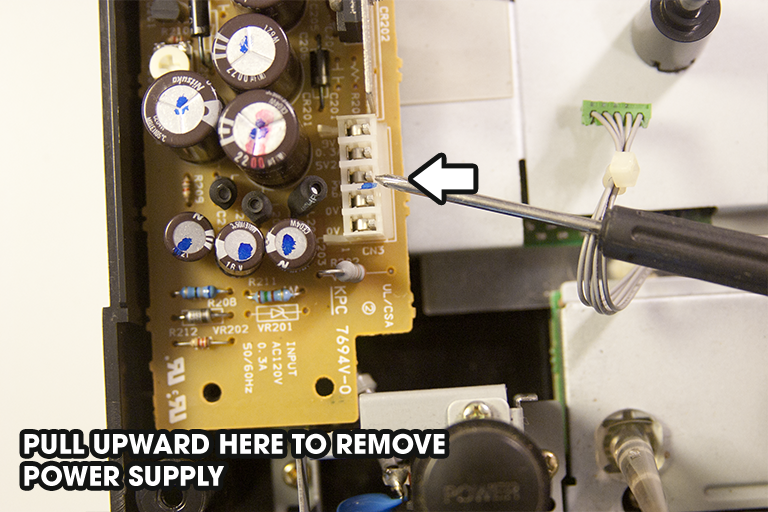 These screws pictured above must also be removed before the power supply can be taken out. 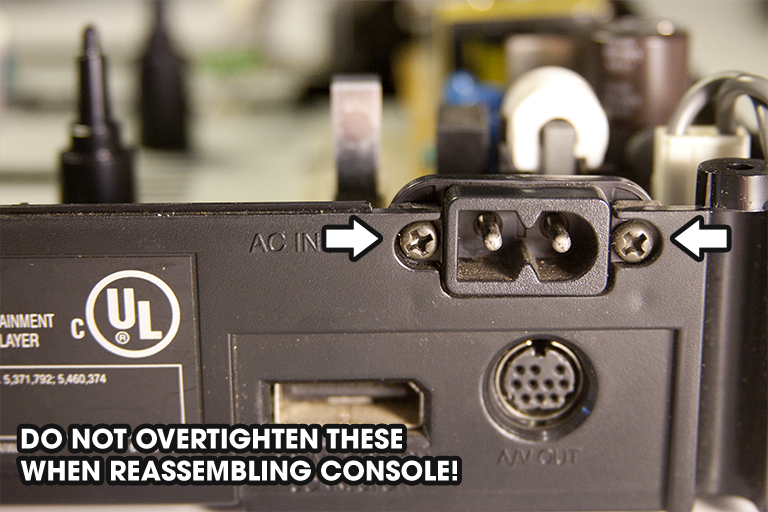 If you overtighten these later they'll break the plastic and make plugging the power cord in difficult later. Trust me. Now to remove the power supply board. Done! 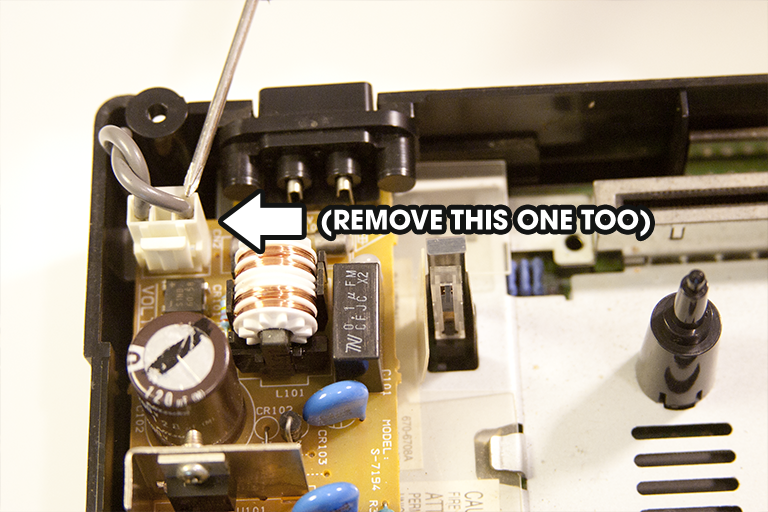 Take off the plastic shield on the left side of the case too, and don't forget to replace it before you put the power supply back in. 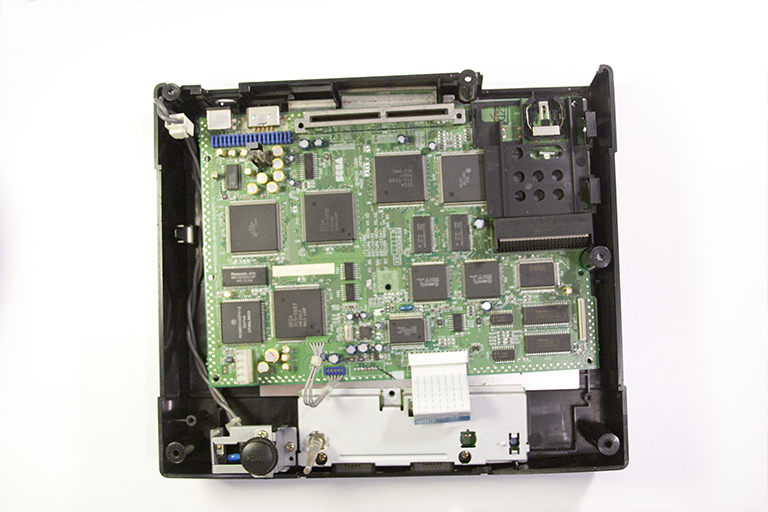 Remove the metal shielding and you can finally see the motherboard. 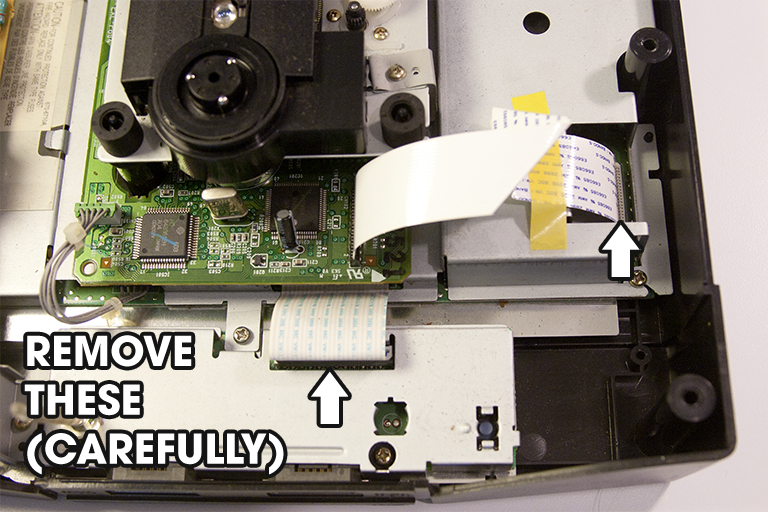 There should be a few more screws to remove now before you can remove it from the console. 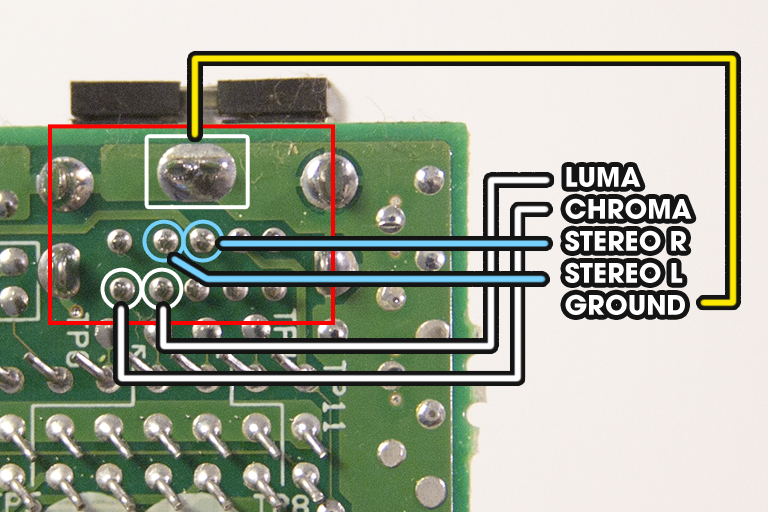 This is the place all the wires will be soldered--one for L stereo, one for R stereo, two for S-Video Luma and Chroma, and four ground wires. Check the diagram below. 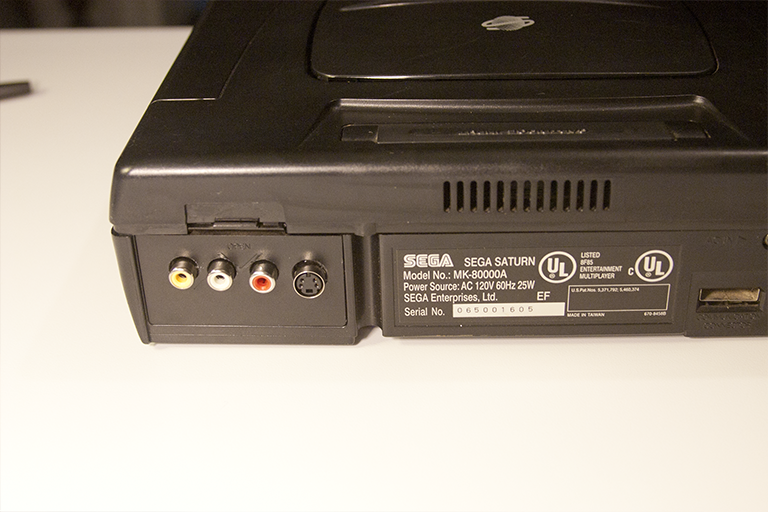 You're looking at the back corner of the motherboard, right underneath the Saturn's AV Out and Expansion ports. 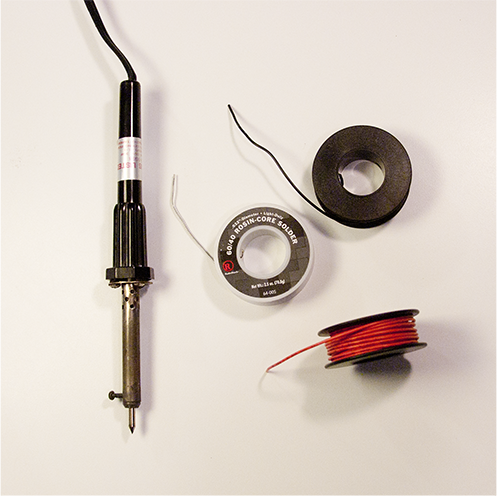 Soldering is not covered in this tutorial but I believe in you. 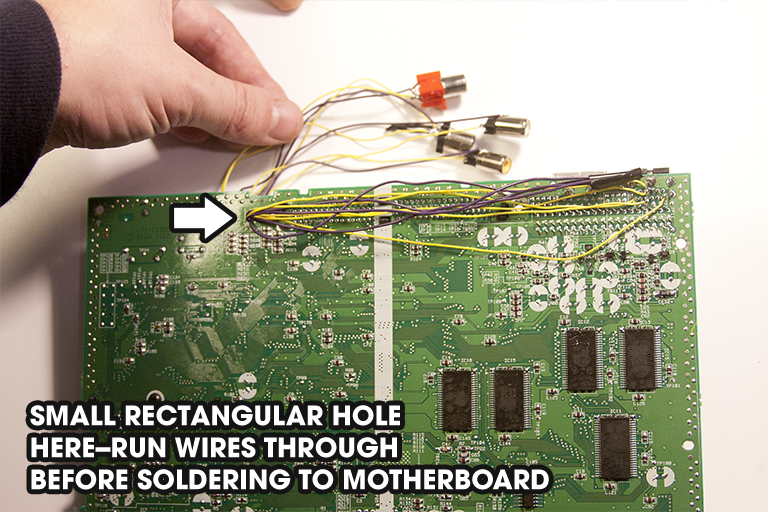 Here's One Weird Old Trick to fit a shitload of wires under the motherboard--run them through that hole. 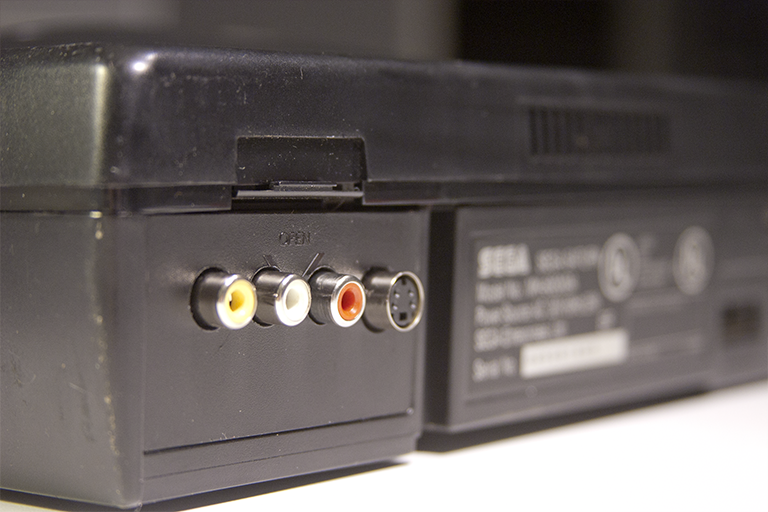 You may notice one extra port that I installed...I decided to add composite video too, just for the heck of it. 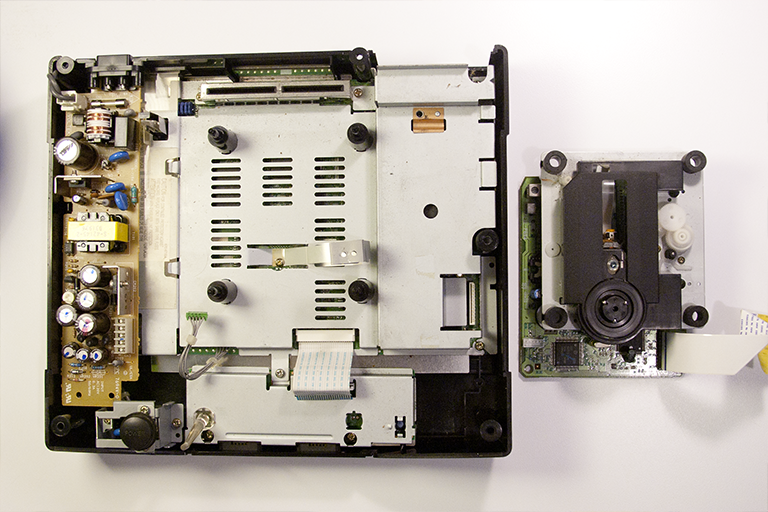 The battery cover is where we're going to install the ports, and you can see that they exit the hole very near where the cover will be when the console is reassembled. 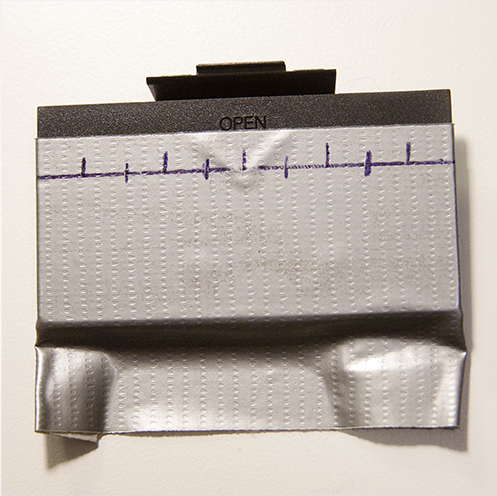 There are plenty of ways to make holes in the battery cover! A smart way to do it would probably be with a drill press. 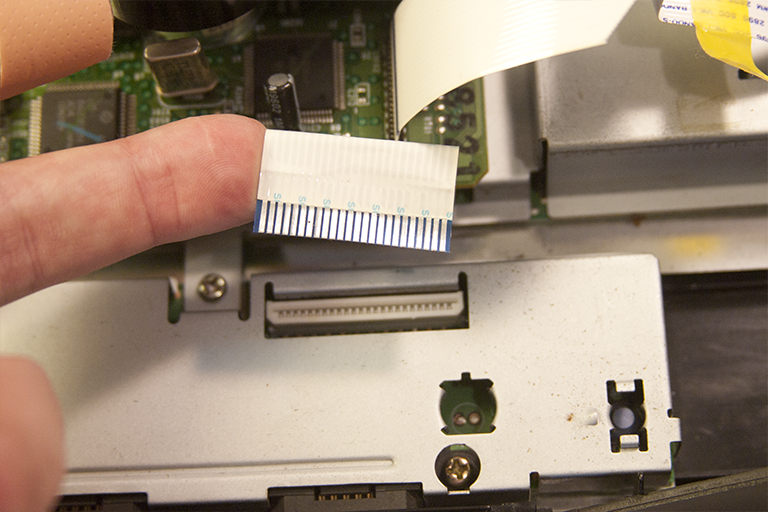 You could use a blade like an X-acto knife to do it too if you've got nothing else. I used a Dremel tool with a drill attachment and freehanded it. Here goes nothing! shhhhhhhiiiiiiitttt. Maybe it'll look better with the ports installed. Not too bad. 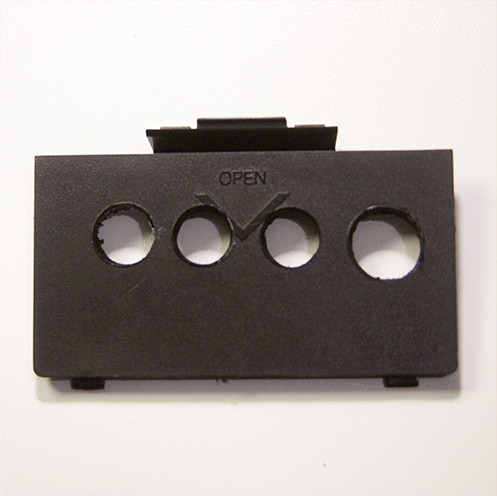 A lot of hot glue keeps these surprisingly secure in their holes! 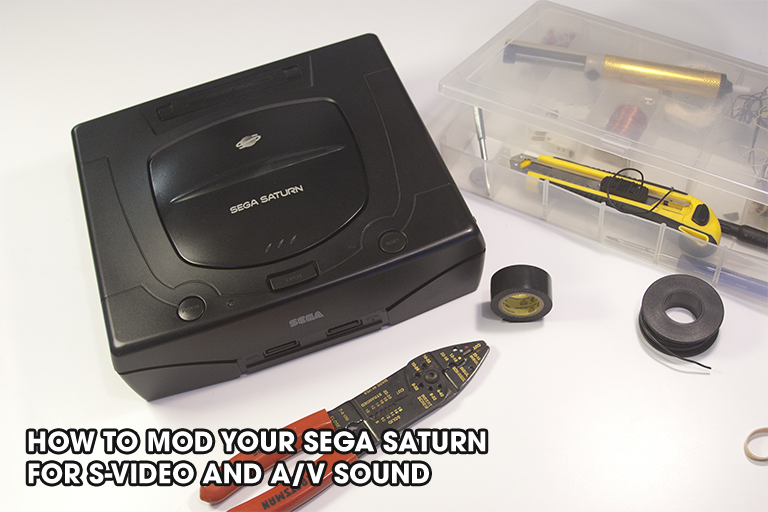 Now to put your Saturn back together. Have fun! 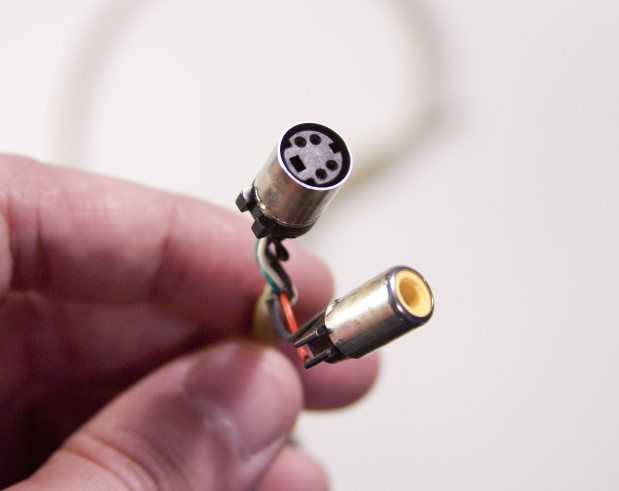 Coaxial connection. 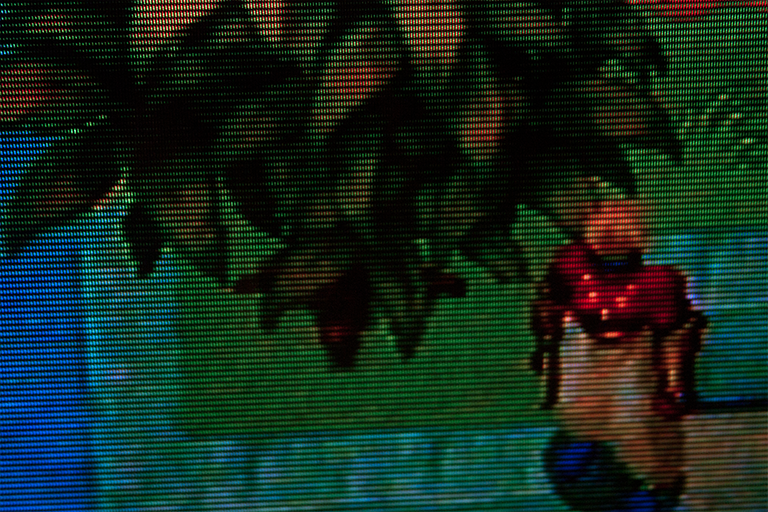 This is actually much much worse looking in person, with lots of nice video interference and wavy lines. 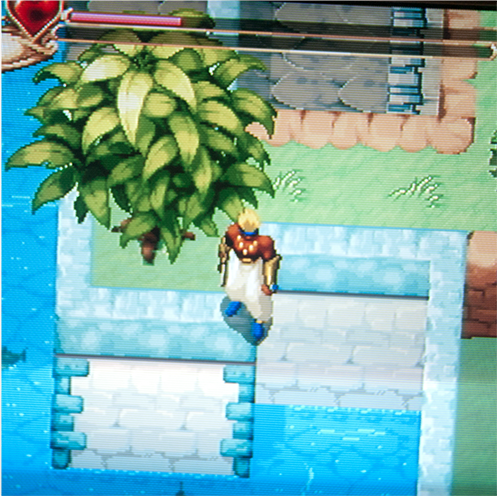 It's nostalgic though, I must admit. Composite. 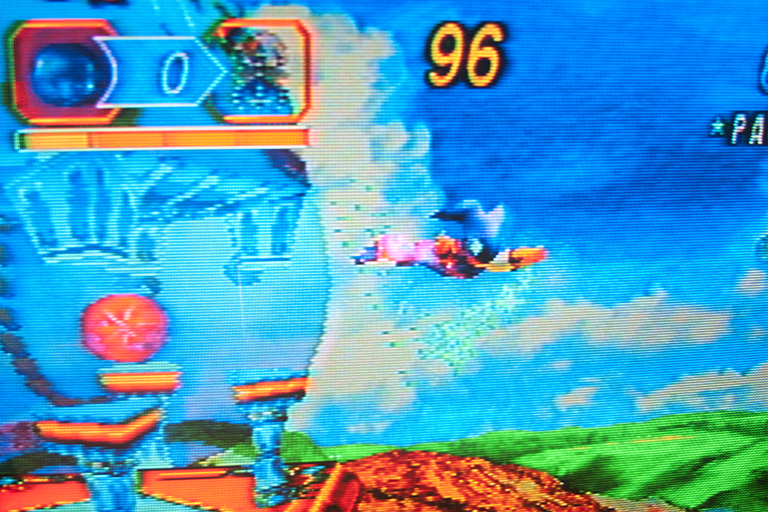 Not terrible, but with noticeable color blur and less sharp pixels. Much sharper in S-Video! I'm afraid my photos aren't doing these proper justice, but you can see the sharpness and image stability here. Another thing I really like are small details like stars and particles and specifically the water sparkles in this image, they're much brighter and sharper. 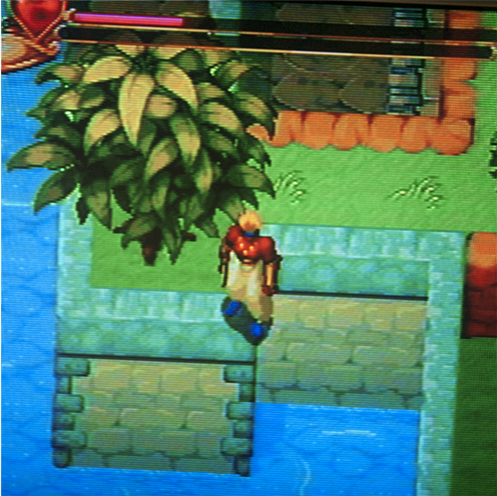 2D games look incredible with S-Video, but some people may actually prefer 3D games with composite video. 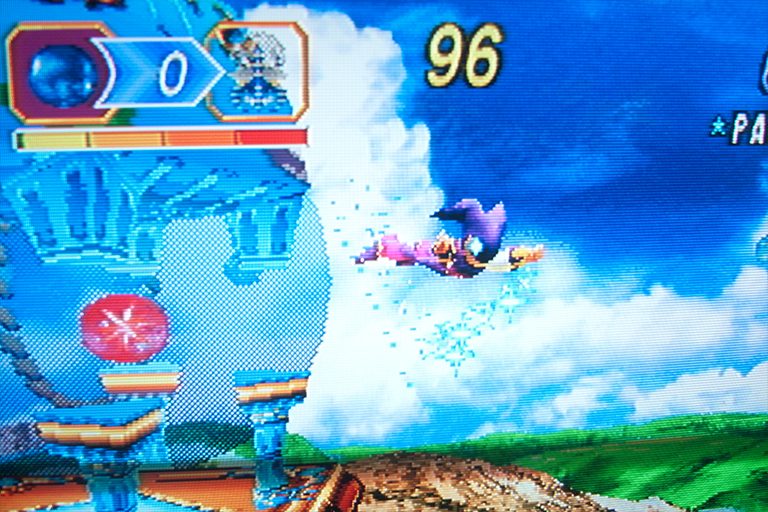 As you'll see below, certain effects like transparencies are so sharp that they lose the actual illusion of transparency! 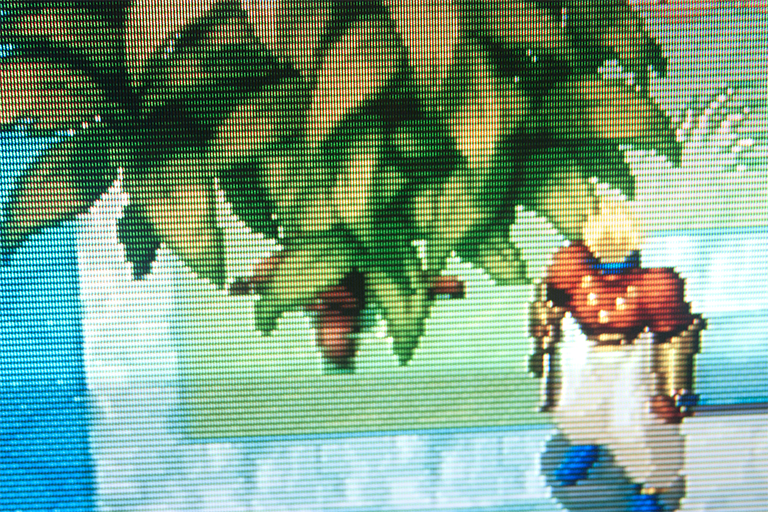 Grainy 3D textures may also appear too grainy to some when they're sharper, whereas with composite they're smoothed out somewhat. 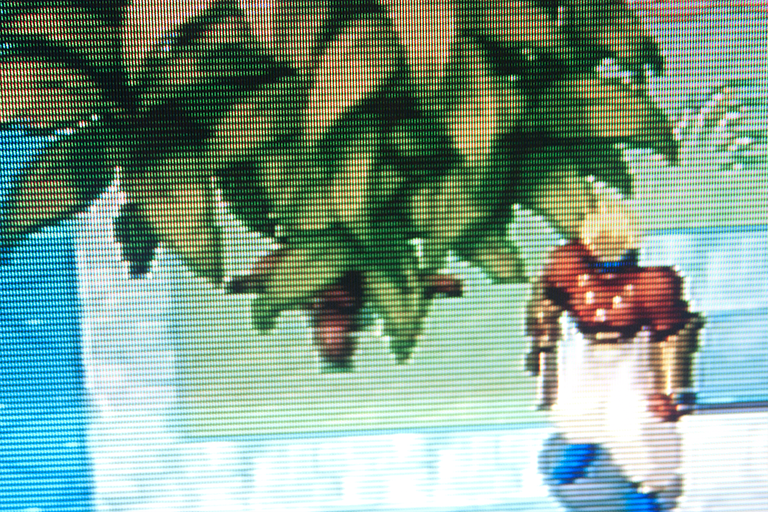 Here you can see what I'm talking about; without the blurring of composite, the transparent orb is revealed as a cheap pixel mesh! 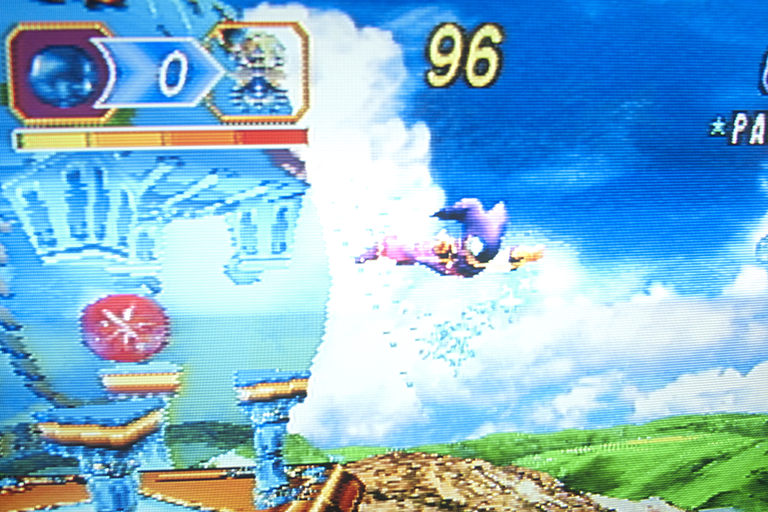 In general, I still prefer S-Video overall though. thank you very good tutorial! I've just installed iStripper, so I can watch the sexiest virtual strippers getting naked on my desktop.